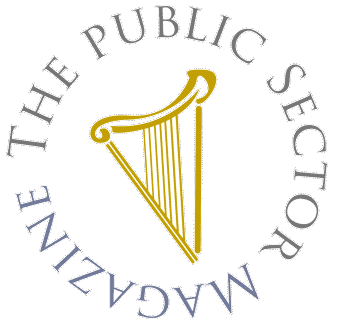 OUR FIRM of dispute resolution consultants has been given the highest accolade for its services by Public Sector magazine. 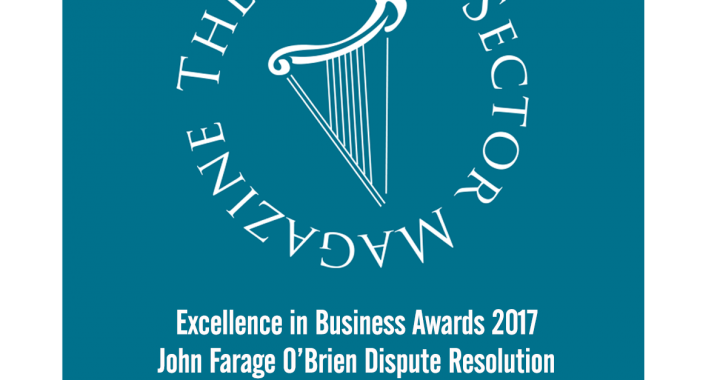 John Farage O’Brien has taken the Legal Dispute Resolution award in the magazine’s annual Excellence in Business Awards, in recognition of the firm’s work in advising and representing those involved in construction disputes, many involving the public sector, and its founder’s role as a mediator, conciliator and arbitrator in successfully resolving disputes which often involve tens or even hundreds of millions of euro in contract value. O’Brien said: “Winning this award is great news for our team. Really, they deserve this recognition for the work they do — and for the contribution it makes to business involving the public sector. The public sector is a huge employer of construction firms, civil engineering companies, surveyors and many other construction professionals, operating many contracts, and when disagreements turn into disputes we are always on hand to help resolve them. The firm, founded by Greystones resident O’Brien in 2003, specialises in resolving disputes in the construction sector, representing clients at all forms of alternative dispute resolution. O’Brien himself is a fully qualified and accredited mediator and arbitrator, where he serves as the ‘referee’ in disputes over the terms of construction contracts and brings to the role a lifetime of experience in the construction sector and 15 years of work resolving disputes. The team at John Farage O’Brien includes two chartered quantity surveyors, a senior contracts consultant who is a barrister and expert in arbitration law, and a senior consultant who is one of only a handful of Chartered Arbitrators in Ireland — as well as O’Brien himself, who brings wide knowledge and ferocious forensic abilities to his practice, and combines these with the ability to take the long view as an analytical strategist in this complex area. He has long experience as a project manager on major civil engineering, railway infrastructure and building projects in Ireland and Britain and has honed his skills in the the dispute resolution arena since 2003, with extensive experience as a dispute manager, an advocate, a conciliator and as a practising arbitrator and mediator.